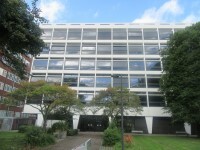 Theatre B is/are located on the ground floor, to the right as you enter the building. 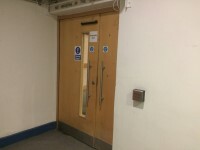 To view the AccessAble access guide for Roscoe Building please click here (new tab). 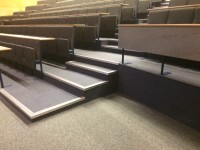 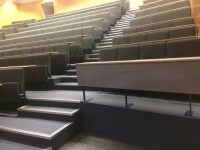 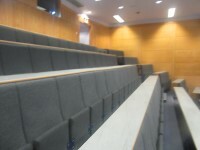 There are not designated spaces for wheelchair users within the lecture theatre(s). 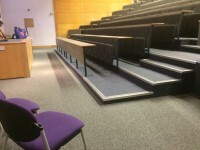 The speakers area can be accessed by taking the lift to the basement level. 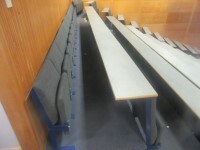 The clear floor space beneath tables in the lecture theatre(s) ranges between 73cm and 95cm.